Saw Mars, Venus, and Jupiter (We downloaded the Night Sky app and you can see stars and planets just by pointing your phone at the sky! I thought they were planets, hubby thought it might be satellites. I won. :D) Stargazing puts awe in my heart knowing how big the world is and how small we are. SO pretty lately! ohh and i see you got those Sam Edelman pumps! i just ordered the rose gold ones..i can't wait for them to come! how is the sizing with those? I love seeing these snapshots! Would love to see more OOTDs thrown in there too! Love these posts!!! :) What app do you use to edit your photos? Whoaaa, you know Family Force 5?! I remember those guys from when I was in high school! "Hold up, wait a minute, put a little love in it". RIGHT?! Where is the starfish cuff from? I bought it from a Hautelook jewelry sale but if you google it I think there are a few sellers that have it online as well. I know there wasn't a video in this post, but I was wondering what video editing software you use? My hubby was wondering as he needs to find a good one to use :o) Thanks! Funny... I was just thinking earlier today that it would be cool to know more about you outside of the makeup and clothes blogging world. :) So I for one would love to see weekly Instagram photos! Especially because Instagram makes everything look so artsy and cool. Speaking of art... I've always wanted to know more about your profession as a graphic designer, because I am a designer too. Would you ever be willing to talk about that on your blog? ooooh lovely shoes jen! I wanna see how you would style them since I imagine your style to be more on the girly side! Hey Jen! How'd you get to hang out with Family Force 5??? & I would love to see weekly snapshots! You got to hang with Family Force 5??? ♩ I love all those pictures in your blog. Very nice layout. Hey Jen you are amazing and I have a request! I'm not sure if you've done it before but I have seen alot of your blogs so I'm gonna ask anyway! Any chance you could do a nail polish tutorial, I'm hopeless at pairing my nails and I always do a really haphazard looking job no matter how hard I try! What size are your Sam Edelman's? I'm surprised you found a pair to fit your tiny feet. 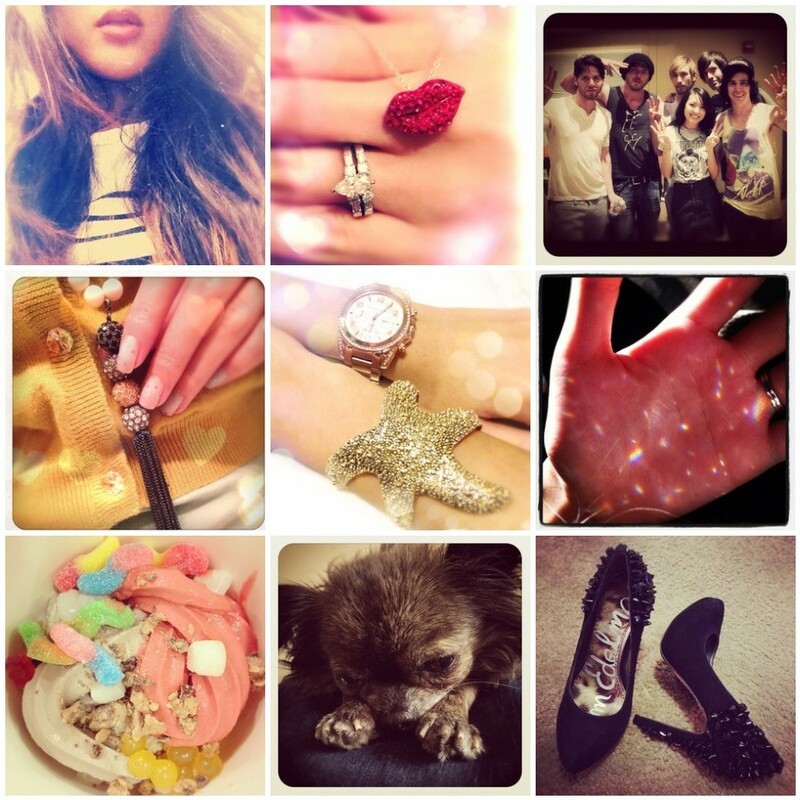 Love instagram and love your photos, Jen!! Hii! Which brand is your watch? I've seen you wear it in your videos and love it!